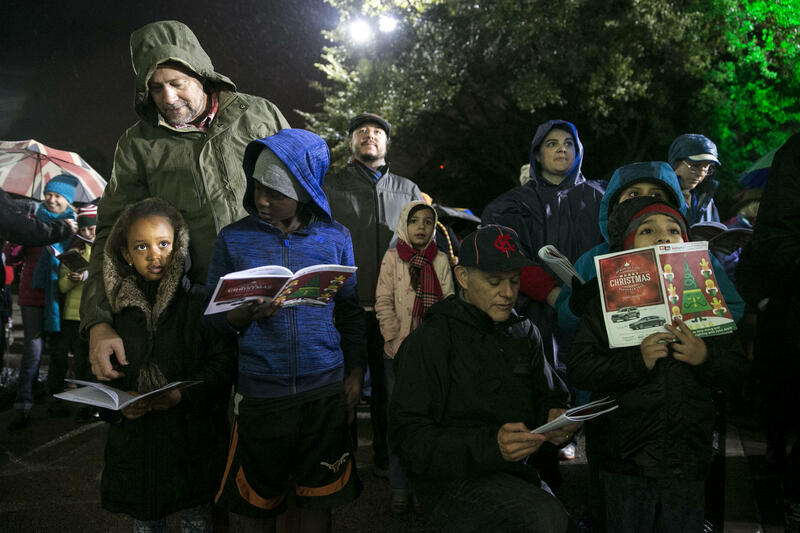 Carolers at the 2016 Sing-Along and Downtown Stroll braved wet weather. WHAT: The Downtown Austin Alliance; KUT 90.5, Austin’s NPR station; and KUTX 98.9, The Austin Music Experience, invite the community to start the holidays downtown at the annual Holiday Sing-Along and Downtown Stroll! All events are free and open to the public. Beginning at 5 p.m. on Saturday, Dec. 2, Congress Ave. will be abuzz with holiday cheer during the Downtown Stroll. Enjoy free concerts throughout the evening from Austin favorites, including Riders Against the Storm, Gina Chavez, Jane Ellen Bryant, Charlie Faye & The Fayettes and DJ Hexum. At 6 p.m., guests will gather on the south steps of the Capitol to sing songs of the season, led by KUTX 98.9 music hosts John Aielli and Elizabeth McQueen. Attendees will receive a commemorative songbook (while supplies last). Ending the sing-along will be a countdown to the lighting of the downtown Christmas tree at 11th St. and Congress Ave. The tree will remain lit through the holiday season, featuring a programmed light show at the top and bottom of every hour featuring holiday songs of local Austin musicians. Attendees can participate in fun activities, such as a special night market by the Sustainable Food Center’s Farmers’ Market, live interactive art, a Winter Wonderland with magic snow, and dance performances by Nunamaana, Blip Switch, and a local aerial troupe! Additionally, shops, restaurants, galleries and museums will be open late and will feature special activities and offers. Last, but not least, Santa himself will be taking photos with guests in the most authentically Austin way—a Volkswagen bus. WHEN: Saturday, Dec. 2, 2017, 5-9 p.m.
Stroll and live music begins at 5 p.m.
Sing-along begins at 6 p.m.
Tree lighting at 7 p.m. Downtown Stroll lasts until 9 p.m.
WHERE: The Sing-Along takes place on the south steps of the Texas State Capitol (11th St. and Congress Ave.). The tree is stationed at the south gates of the Capitol lawn on Congress Ave. The Stroll will take place along Congress Ave. from 11th St. to 9th St.
MEDIA OPPS: Representatives from the Downtown Austin Alliance, KUT and KUTX, and the artists are available for interviews before, during and after the event. Visuals include crowds of people singing, Austinites participating in events, children’s activities, lighting of the tree, Austin musicians performing, and more. Note to editors: Photos from previous years’ events are available on KUT’s Flicker page 2016 Sing-Along photos and the Downtown Austin Alliance Flickr site. AUSTIN, Texas – Nov. 3, 2017 – A community of engaged listeners, sustaining members and local businesses showed their support for the news, information and music programming on KUT 90.5 and KUTX 98.9, during the fall 2017 membership drive. The stations’ shortened, seven-day fall membership drive concluded Oct. 30 and focused on the theme “News for All. Music for All,” emphasizing that listener support makes quality journalism, trusted information, and the Austin music experience available to everyone. No subscription. No paywalls. No barriers to access. 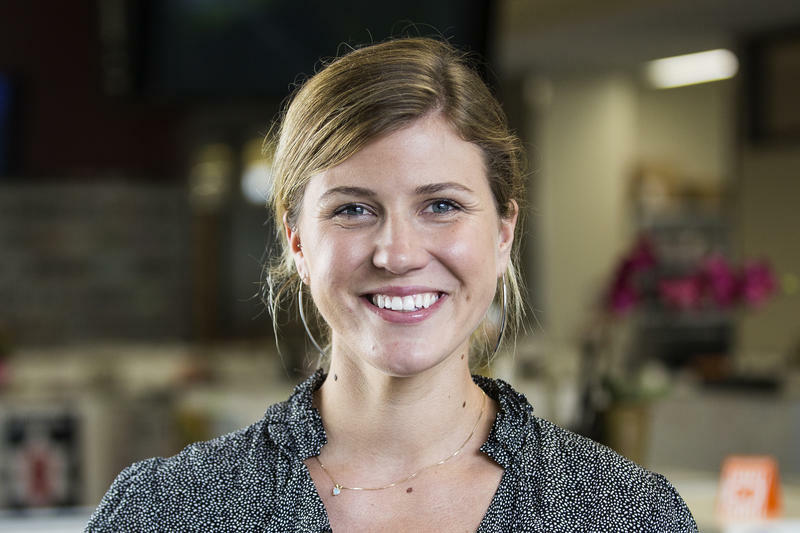 AUSTIN, Texas – Oct. 4, 2017 – National Murrow Award-wining journalist Claire McInerny has joined the KUT 90.5 news department to report on issues of education and equity in Central Texas. McInerny will cover issues from pre-kindergarten through college, focusing on equity in various education systems. This includes socioeconomic, racial and geographic issues of diversity in Austin. AUSTIN, Texas — Sept. 19, 2017 — KUTX 98.9, The Austin Music Experience, and Four Seasons Hotel Austin are partnering to connect music fans to some of the best acts performing at the 2017 Austin City Limits Festival. 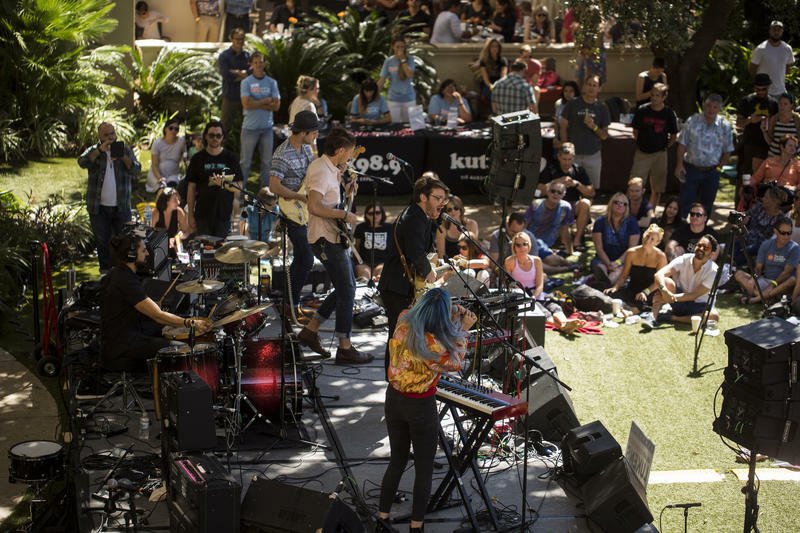 This year’s KUTX Live at the Four Seasons concert takes place from 9:30 a.m. to 1 p.m., Friday, Oct. 6, on the beautiful back lawn of Four Seasons Hotel Austin.